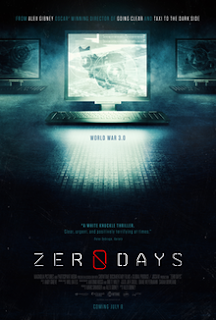 Zero Days is Alex Gibney’s look at the malware known as Stuxnet. A nigh perfect bit of programming, it was a much more complicated than most other malwares and while it spread across the globe it was aimed at only one thing, the Iranian nuclear enrichment program. Intriguing documentary about what the US and Israeli government will do to stop the Iranian nuclear program is a compelling film. This is a wonderful trip down the rabbit hole of espionage and dirty tricks. It’s a film that split my feelings since part of me was upset that they were unleashing such a potential bad virus on the world, not to mention it ignoring the rule of law- but at the same time I thought it was just damn clever. While you might think a film about computer code would be dense and too technical, that’s’ not the case. Gibney keeps the story human and explains everything neatly. If there is anything really wrong it is that running almost two hours the film is a little long. A little trimming could have helped make this great instead of just good.